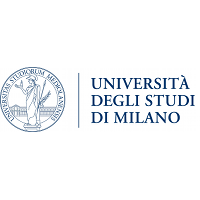 Profile: Universit`a degli Studi di Milano (UMIL) is a major higher education and research institution in Italy, offering degrees in all areas of science and humanities. The Secure Service– oriented Software Architectures Research (SESAR) Lab (http://sesar.di.unimi.it/) led by Prof. Ernesto Damiani was established in 2003. It is part of the Department of Computer Science of the Universit`a degli Studi di Milano, The SESAR lab has a staff of 10 full–time researchers and post–docs, plus a number of Ph.D. candidates with experience in several fields including security certification of software/services, mobile geolocation and privacy, formal verification of distributed systems, empirical software engineering and cloud testing and monitoring. Long-term grants from major companies, such as Cisco Systems, Telecom Italia, Nokia Siemens Networks, British Telecom and others fund several of SESAR Lab’s current and past researches.. UMIL research unit has an extensive experience in EU project participation and management. Its members have been/are involved in and responsible for large Work Packages within several collaborative projects funded by the European Commission in the Seventh Framework Program and Horizon2020: SecureSCM (STREP), ASSERT4SOA (STREP), ARISTOTELE (IP), CUMULUS (STREP), PRACTICE (IP), EVOTION (RIA), TOREADOR (RIA), and THREAT-ARREST (IA). In particular, the SESAR Lab’s director is the Principal Investigator of H2020 Project TOREADOR. The SESAR Lab has a solid background in the field of empirical software engineering and in system and network security. SESAR lab researchers have published hundreds of scientific papers in top conferences and journals, filed international patents, and participated to standardization initiatives of W3C, OASIS and IETF. Expertise and Role in CONCORDIA: UMIL will participate in all WPs and will lead T4.4. UMIL is involved in network secuire, cryptography and big data analytics for cyber security on Edge/Cloud Security and cyberphysical systems. UMIL will bring this knowhow into the CONCORDIA project and also contribute as part of WP4 in the setup of a solid cybersecurity road map for Europe that involves stakeholders and the broader community. UMIL will also participate in CONCORDIA management board.